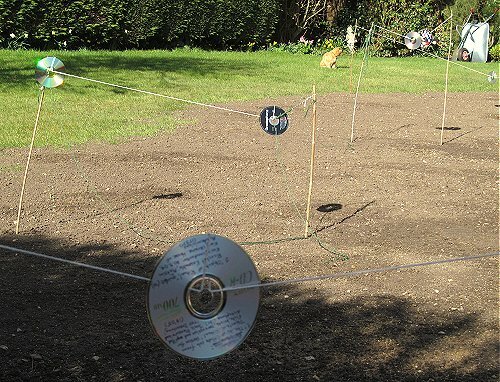 So I finally found a use for all those unsolicited review CDs. Jonathan Harvey's unsilenced Bird Concerto with Pianosong - which was not an unsolicited review CD - played by Hidéki Nagano and the London Sinfonietta with David Atherton on NMC is recommended. Photo (c) On an Overgrown Path - another bird deterrent is visible in the background. Also on Facebook and Twitter.